Abby liebt es zu Malen und ihre Eltern und ihr bester Freund Cooper mögen ihre Bilder. So kommt es dazu, dass sie all ihren Mut zusammennimmt und ihren Chef im Museum fragt, ob sie ihre Bilder bei einer Sonderausstellung zeigen darf. Doch er zweifelt an ihr, er sagt ihren Bildern fehlt es an Herz. Abby ist schwer getroffen von seinen Worte und überlegt, wie sie an mehr Herz kommen soll. Sie erstellt eine Herzensliste und Cooper hilft ihr dabei. Dank ihm kann sie den Punkt Liebeskummer schon abhaken. Dieses Buch ist mein erstes Werk von der Autorin Kasie West. 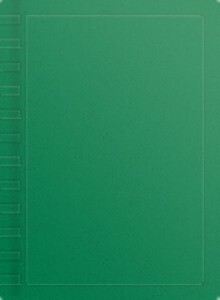 Ich habe ihre anderen Bücher schon zu meiner Wunschliste hinzugefügt, da ich von diesem hier vollkommen begeistert bin. Abby ist ein sehr interessanter Charakter. Sie ist sehr facettenreich und scheint direkt aus dem Leben gegriffen zu sein.Man erlebt mit ihr Freud, Trauer und Wut. Von der ersten Seite an war ich in sie verliebt. Auch Cooper ist großartig und realitätsnahe. Die Beiden harmonieren super miteinander. Die anderen Charaktere gefallen mir auch. Ich habe mich nicht nur in die Charaktere verliebt, sondern auch in den Schreibstil. Er lässt sich einfach und flüssig lesen. Er ist bildhaft und emotional. Man ist von Anfang an mitten drinnen. Die Seiten fliegen nur so dahin und ehe man sich versieht ist das Buch schon vorbei. Es ist ein schöner Jugendroman, welcher auch zum nachdenken anregt, denn während Abby an ihrer Herzensliste gearbeitet hat, habe ich mich gefragt was auf meiner stehen würde. Für alle die in einem Buch versinken und beim Lesen mitleiden und lachen wollen, ist dieses Buch bestens geeignet. When Kate signed up for the school's podcasting class, she didn't expect to be picked as one of the cohosts of the show. Nor did she expect to recognize one of the callers as Diego, the crush of her best friend, who called in to ask for some advice on his crush. And she really didn't expect to begin to develop feelings herself for Diego as she tried to help him and her best friend, Alana, get together. Before I get into what I liked about this book, and I did like things, I just have to say that I hated Kate's podcasting class and teacher. At the beginning, Kate told her fellow cohost, Victoria, that she hated the name Kat, but was fine with Kate (her full name is Kathryn). Victoria preceded to call her Kat on the podcast, which Kate repeatedly corrected. Victoria ignored this. The editing team then removed every instance of Kate correcting her name so that it seemed like she was fine with being called Kat. The teacher heard the podcast and reviewed the edits and said nothing about any of this and started calling her Kat too. When Kate was complaining about how much she hated the name Kat and didn't like the fact that everyone was ignoring her about it, the group she was talking to about it, which included her best friend and her cousin all said she should just go with it because it was a cool name for her podcasting persona. I just was mad at everyone at this point. If someone says not to call them something because they don't like it, then don't call them that. Call them the name they ask. Don't be a jerk. And the podcasting teacher just did not impress in general. Anytime a student made any kind of request, the teacher would force the student to do the exact opposite of whatever they had asked because the teacher knew what the student truly wanted. At the beginning, Kate was told she was one of the hosts of the podcasts. When Kate said she didn't want to be a host, the teacher laughed at her and asked if she really thought she wouldn't have to speak in podcasting class. Considering only 2 students have to speak out of the entire class, that actually wasn't a ridiculous thought. When Kate still asked to not do it, the teacher told her she obviously took the class for a reason. (Sidenote: the real reason Kate took the class was just to be in a class with her best friend. You don't know your students better than they know themselves, teacher.) Kate then told her she wanted to learn the behind-the-scenes stuff for making a podcast, which she won't get hands-on experience for if she's forced to be the host the entire semester. Literally every other job gets to cycle through and practice everything else except the host. Instead of listening to her, the teacher kept her as a host. Your student is telling you she joined the class to learn all the technical aspects of creating a podcast, and you force them to take the one job that prevents them from getting hands-on experience for any of the parts they just told you they wanted to learn about. You are a terrible teacher. Based on what we see of her, I can just imagine she'd be a nightmare to deal with if you're a student who needed a medical accommodation. But there were things I liked in this book. The romance was pretty cute. I wish there had been more interactions between Kate and Diego. They had a fun and flirty dynamic together. It was easy to see why the two of them started liking one another. They were funny and had some nice banter. And it was pretty cute that Diego kept calling in to Kate's podcast to ask for advice, first on family, and then on his crush. Also great was Kate and Alana's friendship. The two of them were very different personality-wise, but got along wonderfully anyways. Even when they had issues that would have caused major friendship blow-ups in other books, the two of them worked things out without huge fights. Not even the issue of them both liking the same guy was enough to threaten their friendship. They just talked things out. I loved them. Overall, Listen to Your Heart was a cute romance. I could have done without everyone pointedly calling the main character the wrong name and nothing coming of that, as well as not having the teacher who refuses to listen to her students because she knows them better than they know themselves. 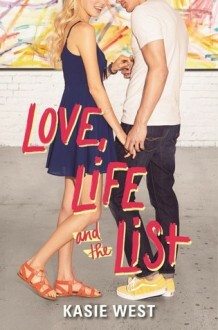 But the romance was really cute and the main character had a great best friend. 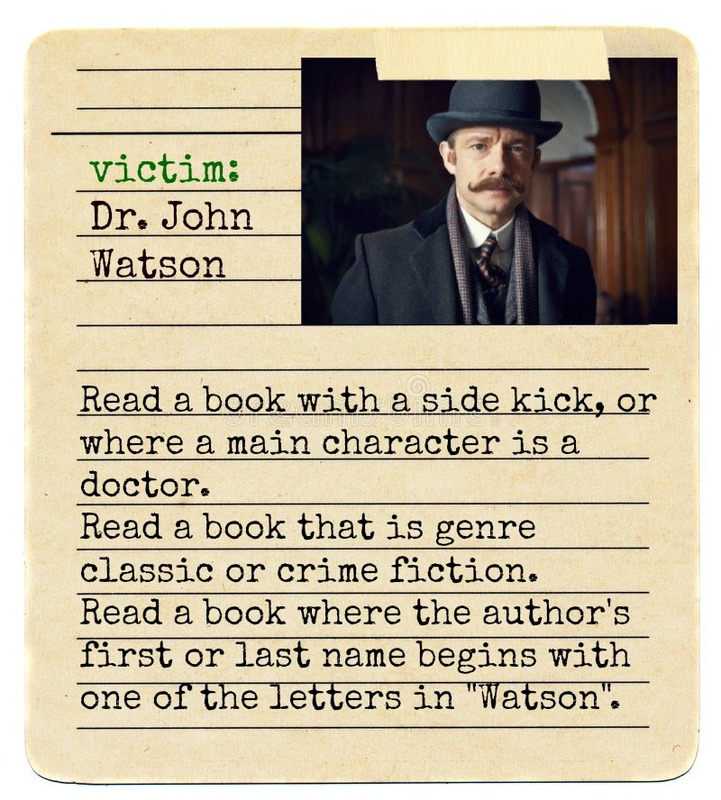 I'm collecting John Watson's card with P.S. 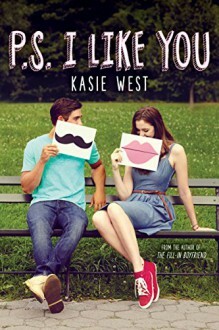 I Like You by Kasie West since her last name starts with 'W' which is in 'Watson'. He's been identified as a victim in the Yellow game. 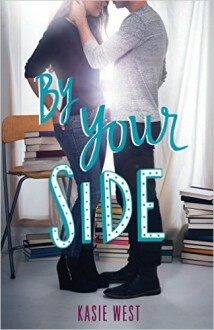 While this wasn't my favorite Kasie West book to date, it was still an enjoyable read. I appreciate that she tried to tackle an anxiety disorder in this book with the main character, Autumn. I also liked how Autumn eventually realized she was often making choices to please other people, rather than because it was what she really wanted. I just didn't feel these characters had as much depth as some of those in her other books. I also had to reach pretty far to accept how Jeff ends up reacting to the whole situation. 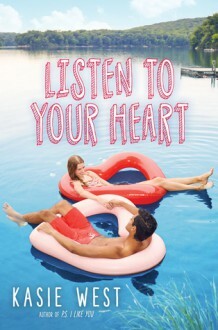 Regardless, Kasie West is still an author I intend to read and follow - especially when I need a light, feel-good story.